Veterans who complete Combat Stress' treatment programme for severe post-traumatic stress disorder (PTSD) go on to show continued improvements in their mental health a year later. A study by the mental health charity revealed that most of the Armed Forces veterans who complete its residential PTSD Intensive Treatment Programme (ITP) experience reduced symptoms a year afterwards. Published in November in BMJ Open, the research found that symptoms dramatically reduce over the 12 months after completing treatment and that secondary symptoms of mental health issues - such as anxiety, depression and anger - also reduced during this time. Issues such as alcohol misuse and the ability to socialise and work also improved in the year following treatment in most cases. The charity's findings show that the six-week residential treatment programme it offers continues to have significant benefits after the fact, which could see veterans experience continued improvements in their condition. 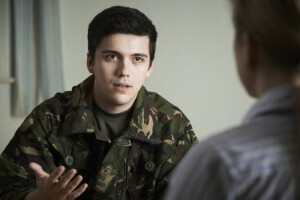 Combat Stress' programme is funded by the NHS, allowing it to offer the ITP free of charge to veterans who have their PTSD diagnosed and assessed by clinicians at the charity. The ITP has three core elements - group skills training to help veterans cope better, group education about PTSD and individual trauma-focused cognitive behaviour therapy. Referrals from veterans to the charity have seen a significant increase over the years, with more veterans who had served in Iraq and Afghanistan seeking help from Combat Stress. Over the last five years, referrals have increased by 71 per cent, with almost 10,000 veterans looking for help with mental health issues. Sue Freeth, chief executive of Combat stress, said: “This study shows the overwhelming majority of veterans are benefitting in the long term from our Intensive Treatment Programme. The outcomes of this programme are as good as, if not better, than other national veteran programmes worldwide. “We know that ex-servicemen and women with PTSD are at an increased risk of social exclusion and can struggle to adjust to civilian life.